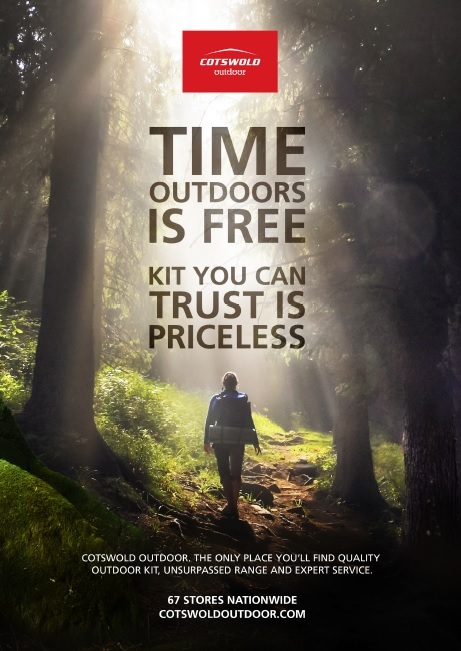 Time outdoors is free. 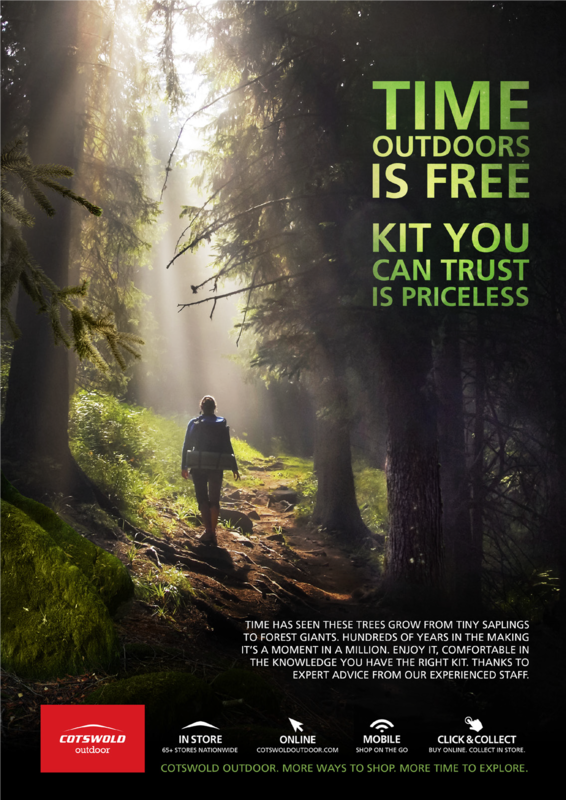 Kit you can trust is priceless. 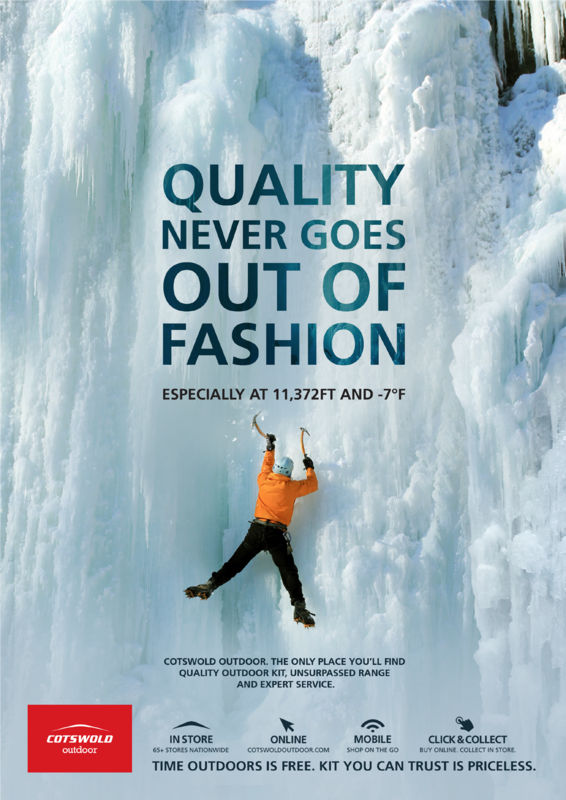 Cotswold Outdoor is the UK’s largest outdoor clothing and equipment retailer. They currently have more than 70 stores nationwide, with more opening all the time. 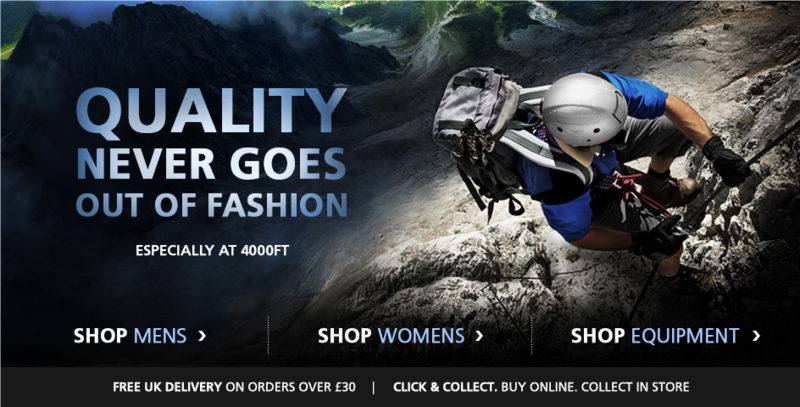 The company also sells over 50,000 items at www.cotswoldoutdoor.com. 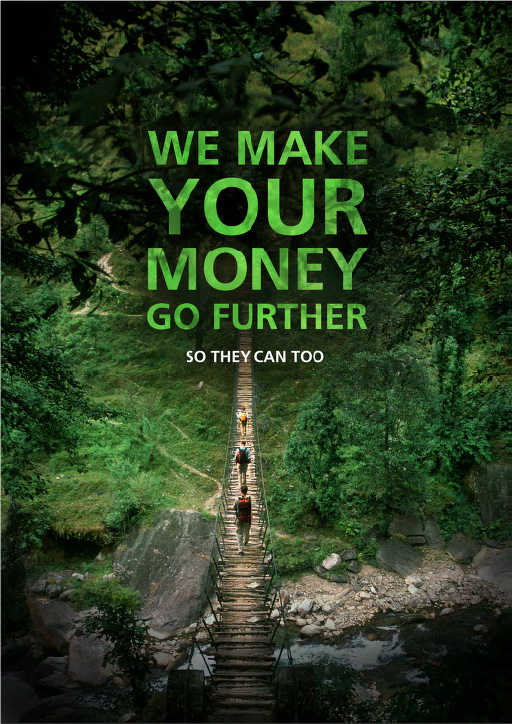 Over the last five years I’ve worked with their in-house marketing team on a wide variety of projects. It’s a surprisingly complex business and a very fast moving environment. For a copywriter it’s pretty challenging – you have to do a lot of very different things within some fairly tight deadlines. 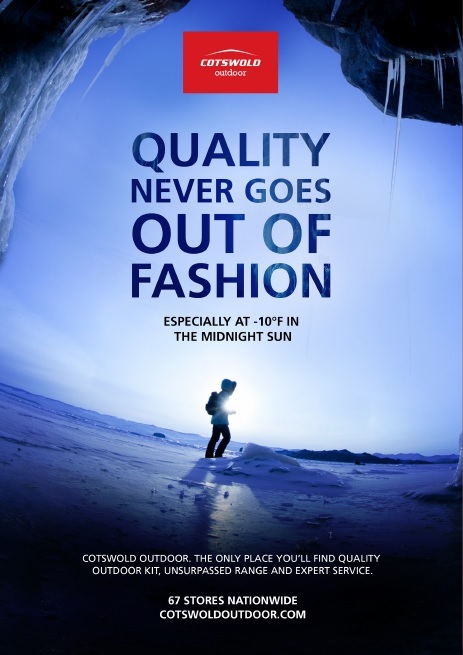 First of all they sell through a number of different channels – online via their website, on the high street through their network of over 70 stores and from their printed summer and winter catalogues. These channels are supported by a range of different advertising and sales promotion campaigns. 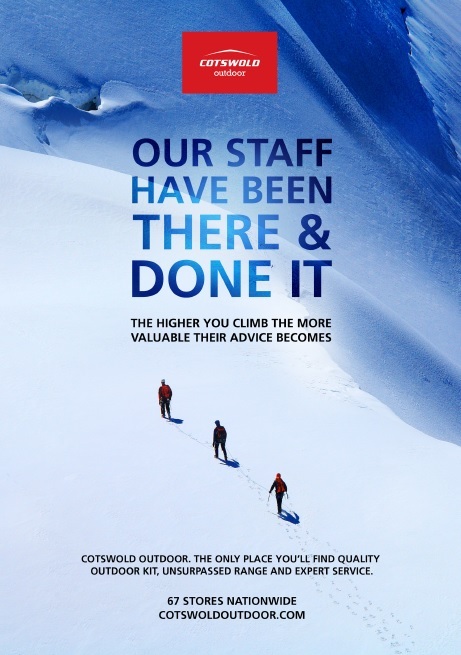 That means their messages have to be adapted to work across a variety of very diverse environments, from web banners to catalogue pages, shop windows to press ads, in store displays to flyers and emails to social media. This asks a lot of the writer – you must have a good grasp of the practicalities and limitations of each medium, as well as being equally adept at crafting attention grabbing headlines or compelling sales copy. Then there’s the fact they sell over 70,000 different items. That’s a lot of product descriptions which need writing, with very different features and benefits. 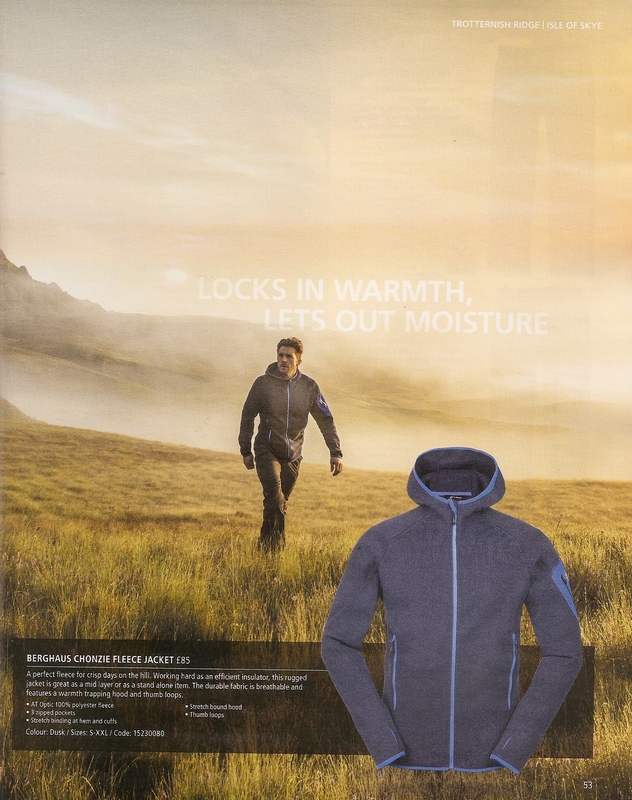 With a North Face jacket you need to understand the technology that goes into fabrics which are water repellent yet breathable. But with a Vango Kirro folding chair the story is about comfort and lightweight engineering. The writer has to be very flexible because the sales story is totally different from one item to the next. 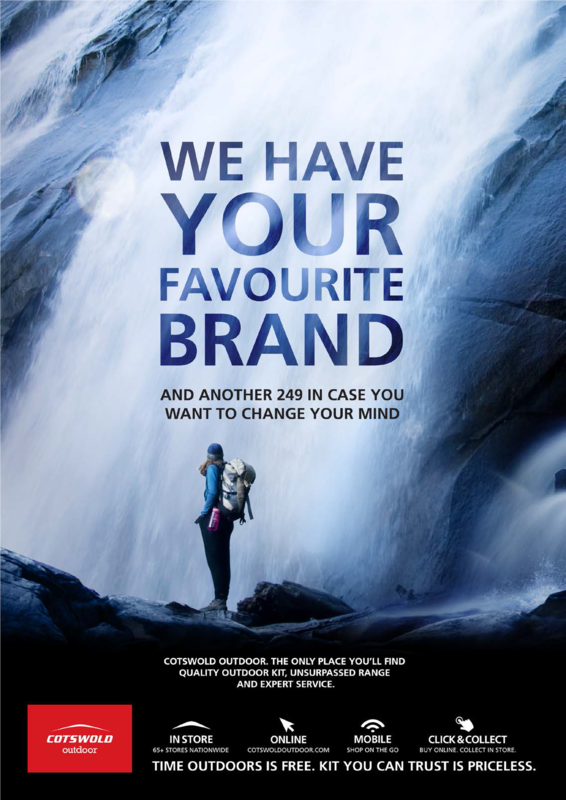 Next you have to realise that each of the 300+ brands they stock has their own story to tell. And they want it telling in a particular way. What’s more, they have clout, because they pay to have particular products featured in windows, promotions, banners and campaigns. 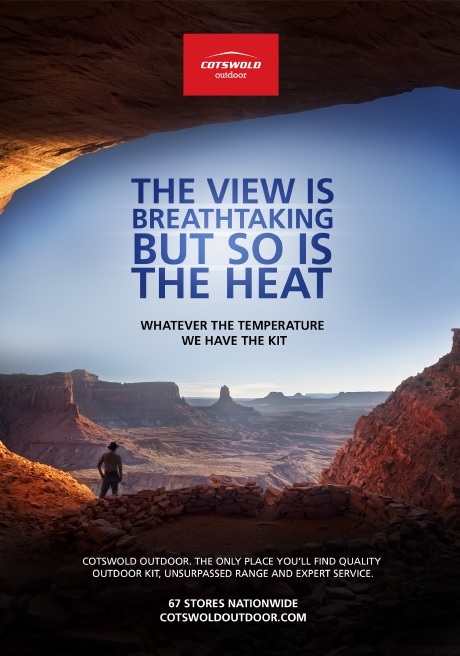 So if you’re talking about a new range from Berghaus, for instance, you have to present it in ways that they approve of. And when you’re writing about Craghoppers, or Jack Wolfskin or Marmot they’ll expect you to adopt their chosen tone of voice. 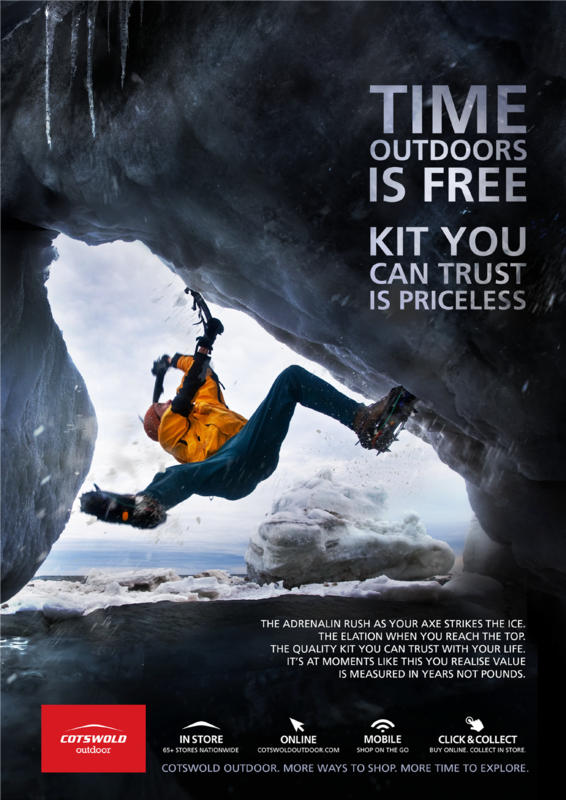 The term “outdoor enthusiast” covers a huge variety of very different consumers. They can be any age from toddler to octogenarian, ranging from the avid alpinist to the family camper and the couple on a weekend break to serious fell runners. Each group has its own particular needs, aspirations and buying behaviours. 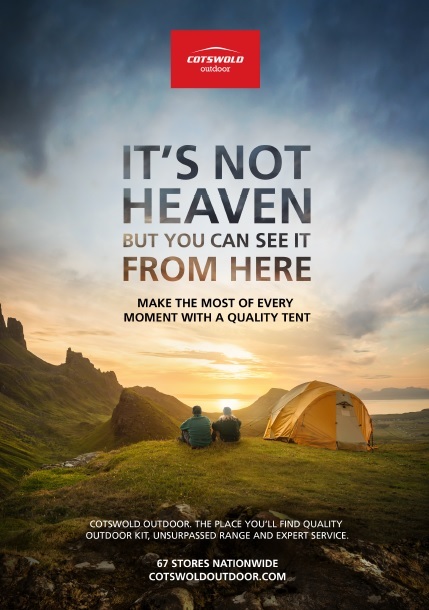 In a bid to segment their target audience, and develop a better understanding of all the different types, Cotswold Outdoor has identified around 30 different groups of customer. Low Level Walkers are those who enjoy moderate hikes on well-trodden footpaths and shop occasionally for functional, low-tech but good quality gear. 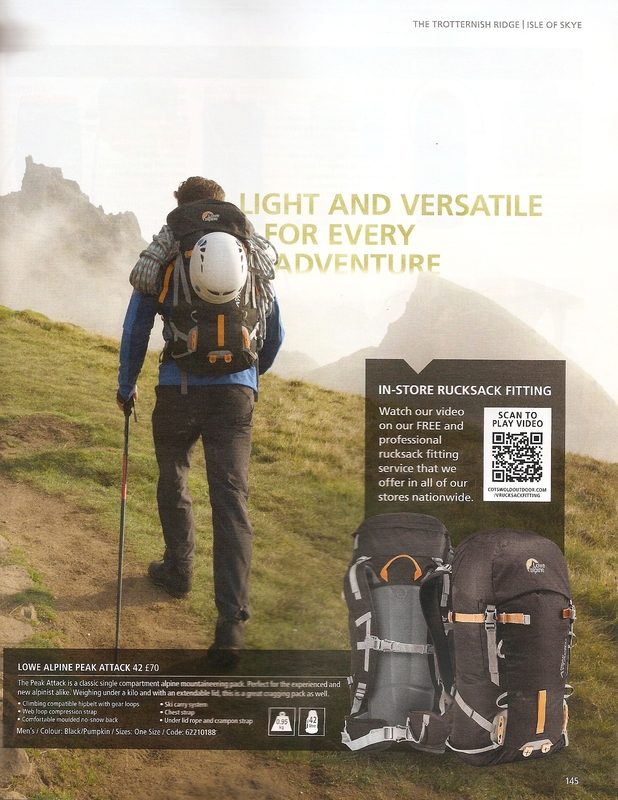 Outdoor Geeks love challenging outdoor adventure and are constantly buying the very latest high-tech kit as soon as it’s available. 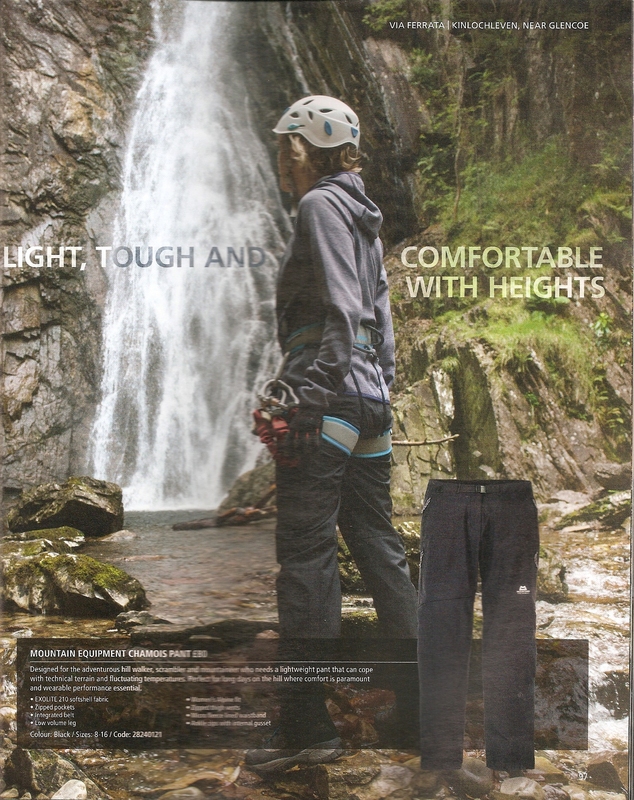 Other categories include Time for Life (retired but active), Playground Snug Mum (practical and comfortable fashion), Cold Weather Adventurer (climbers, skiers, snowboarders)…you get the picture. Each group has to be addressed quite differently. One minute you’ll be writing for an adrenaline junkie that loves pushing themselves to the limit, the next for a nervous parent whose child is going on their Duke of Edinburgh expedition. The language has to be adapted accordingly and when you have around 30 different groups to engage with this takes a surprising amount of skill. 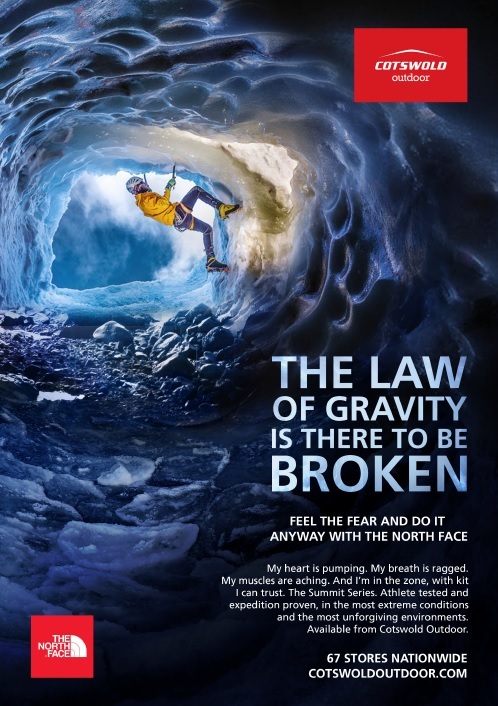 With all these diverse factors in play at the same time Cotswold Outdoor realised they needed a strong and coherent brand story to pull them all together. 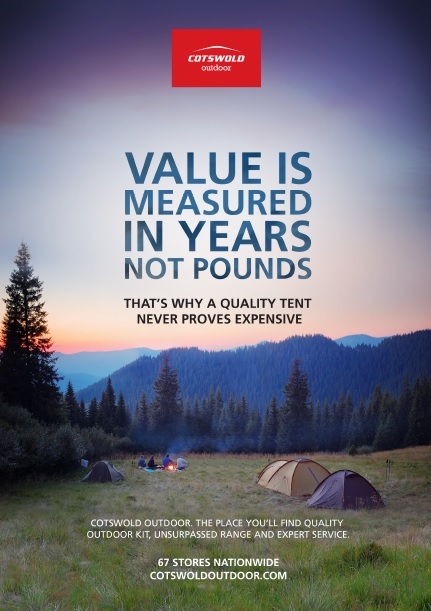 They decided that this had to be built around three ‘brand pillars’ – Quality/Value, Range and Service. Much of my job over the last few years has involved finding compelling ways to express these core messages. 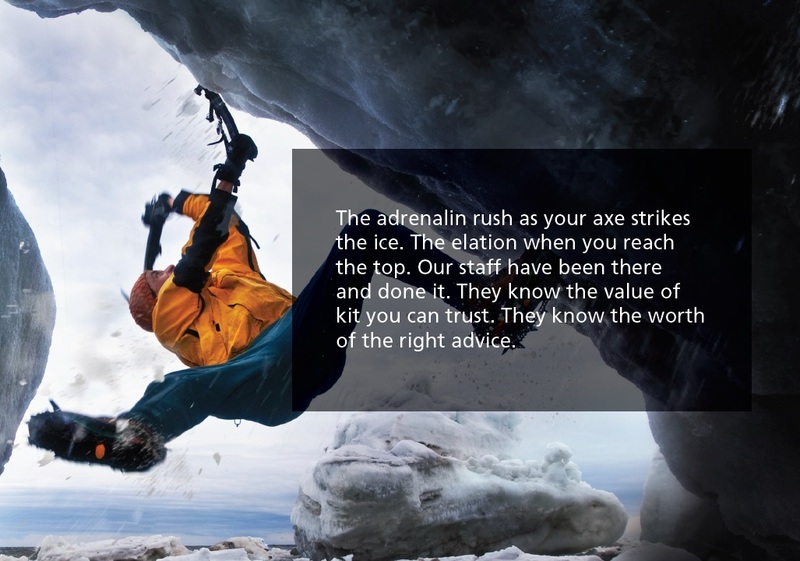 Here are some examples of how I worked with their in-house team to achieve this. 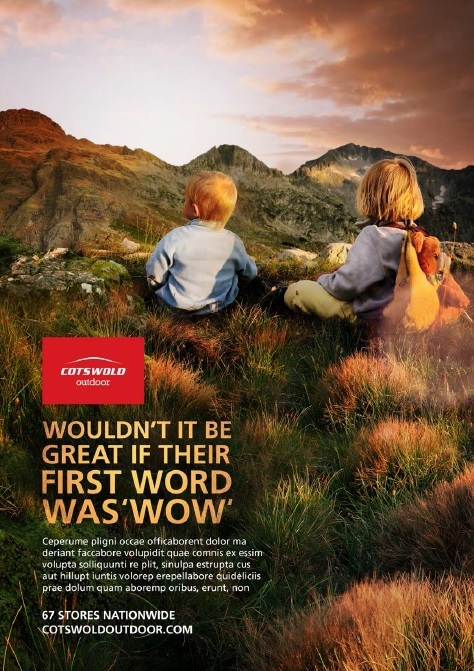 As well as helping them express the core brand pillars of Quality/Value, Range and Service they wanted one line that would embrace them all – something that would sell the “joy of the outdoors” but also make it clear why Cotswold should be their retailer of choice. 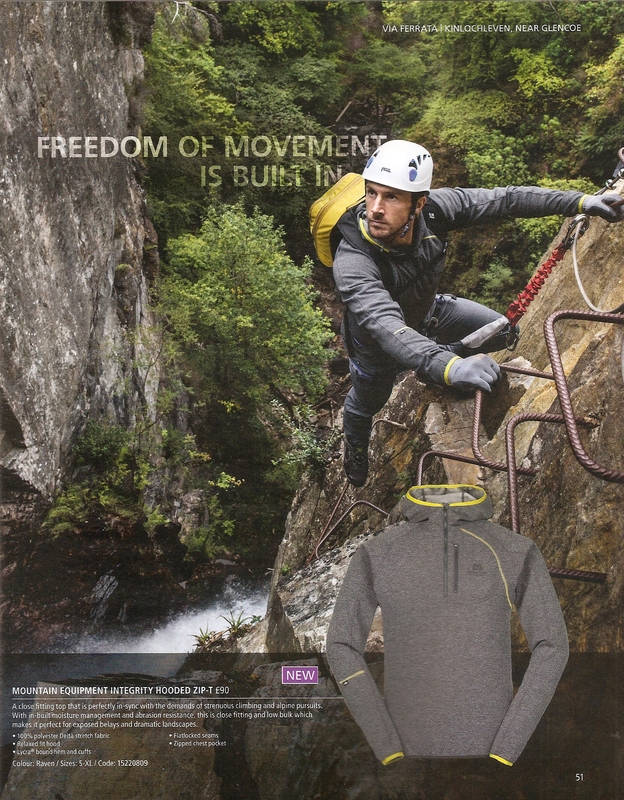 Something that was flexible enough to work across all media, from instore to press ads and web banners to shop windows. 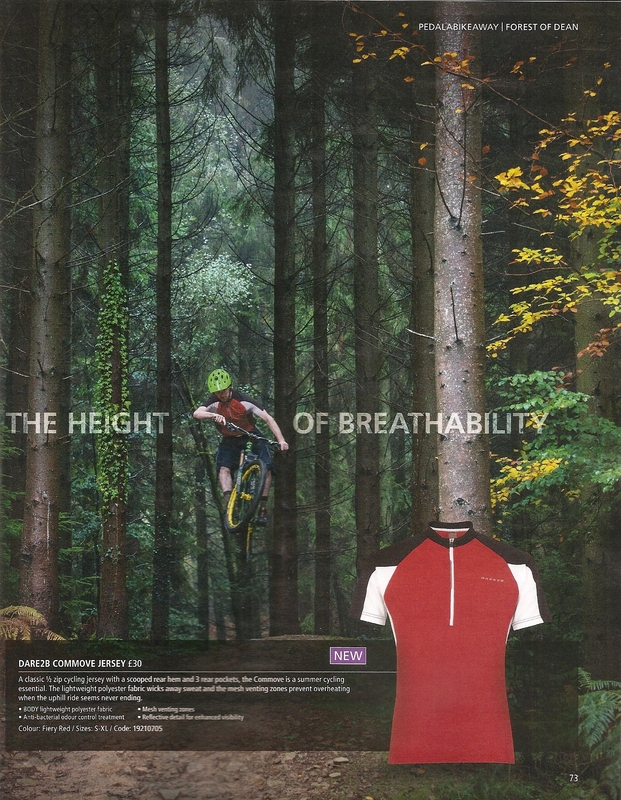 And which could also appeal to all their different customers, from the casual walker to the adrenalin junkie and the runners to the mountain bikers. All through the year they run a series of different promotions and I’m regularly asked to help with headlines and copy. I write some of the text for their regular catalogues and leaflets. The main challenge here is to express the key benefit of the technology in a way that’s succinct and appealing. Phew…that’s a lot of work, and what you see here is just the tip of the iceberg. A great client and lovely people to work with.